Orihuela Costa is situated in Costa Blanca South and has 17 km of white sand beaches, cliffs and marinas. All the beaches in Orihuela Costa meet EU standards for water quality, in fact they have obtained the maximum qualification as far as quality is concerned. Punta Prima, Cala Mosca, Cala Estaca, Cala Bosque, Cala Cerrada, Cala Capitán, La Caleta, Calas de Aguamarina, La Glea, Barranco Rubio and Mil Palmeras qualify as "excellent" when it comes to quality of bathing water. Finding a new or resale beachside property for sale in Orihuela Costa is easier than you think when you rely on E-Style Spain. 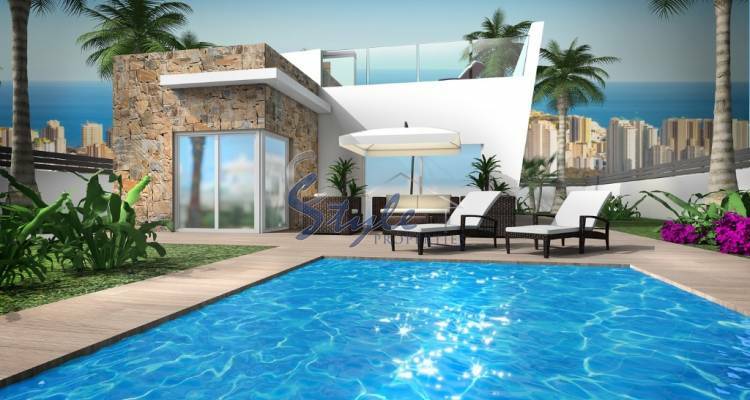 We are proud to offer the best selection of properties on the market in the Southern Costa Blanca. This privileged area is walking distance to plenty of bars and restaurants, shopping centres, banks, chemists, supermarkets, health centre, children´s playgrounds and lots of entertainment for every age. If you are considering buying property in Orihuela Costa, do not hesitate to contact us!